The study, titled "Physical Activity and Sleep Quality in Breast Cancer Survivors: A Randomized Trial," is the first large randomized controlled aerobic physical activity study of its kind in breast cancer survivors who had completed primary cancer treatment. This study found participants who received a physical activity program focused on achieving 150 weekly minutes of physical activity -- approximately 20 minutes per day -- reported better sleep quality, fewer sleep disturbances and less daytime dysfunction related to fatigue. 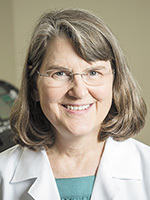 "Nearly one in three breast cancer survivors suffers from poor sleep, and poor sleep is associated with greater breast cancer mortality," said Laura Q. Rogers, MD, principal investigator of the study and professor at UAB. "So research in this area is critical for survivors and those who care about them. Our findings are significant because the benefits were of sufficient magnitude to reach and exceed the clinically important threshold." The BEAT Cancer program, based in the Department of Nutrition Sciences, began with six weeks of personal coaching from an exercise specialist. After the six weeks, participants were responsible for maintaining their own exercise regimens at home while checking in with the exercise specialist every two weeks. Participants also attended six discussion group sessions with other program participants. Study measurements were obtained at the three-month and six-month marks. This study found participants who received a physical activity program focused on achieving 150 weekly minutes of physical activity -- approximately 20 minutes per day -- reported better sleep quality, fewer sleep disturbances and less daytime dysfunction related to fatigue. The findings -- in which results came from perceived responses rather than an accelerometer -- showed that BEAT Cancer significantly improved global sleep quality due to improvements in several global sleep quality components, including perceived quality of sleep, reduced sleep disturbances and less fatigue during the day. Rogers acknowledged that the inclusion of more current sleep measurement options such as bed sensors and sleep recorders in future studies could overcome some of the limitations of measuring self-report sleep quality. She says additional research is needed to determine how the support provided by research staff and other cancer survivor participants may have influenced the sleep improvements. "This study reinforces the importance of providing physical activity programming as a fundamental part of the cancer survivor care plan," Rogers said. "It is currently recommended that cancer survivors engage in at least 150 minutes per week of moderate intensity physical activity, such as walking. This study suggests that doing so can potentially help a breast cancer survivor sleep better. Hence, cancer survivors can add another benefit to the list of reasons to find a physical activity they enjoy and get moving."